35 years of trade show exhibits, events, and graphics - we have the experience to make your events the best they can be. From graphics to building the largest booths, we will work with your event managers to achieve your marketing milestones. 35 years of crushing it! 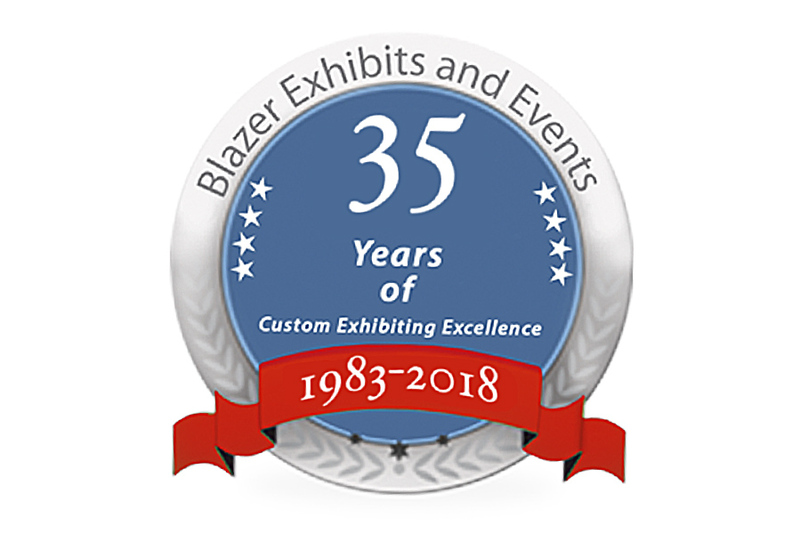 Blazer Exhibits has seen a lot over the years and has evolved with the times to create modern and impressive exhibiting platforms. After so many years of building, imagining, and creating the perfect exhibits and events – we have the process down to an art form. We want to take all these years and put it to work for you and your marketing team. Our staff will work with your event managers to build a program that will give your business the best return on your investment by capturing new clients and creating more leads. Contact us today, and make your exhibiting goals a reality! Our exhibiting professionals are here to help you with everything from questions you may have about venues to planning entire exhibiting programs. We have the experience and knowledge to find the perfect solution for your next event no matter where it may be!